Chaos Created has developed a couple of new interactive shopping activities for TES iboard. 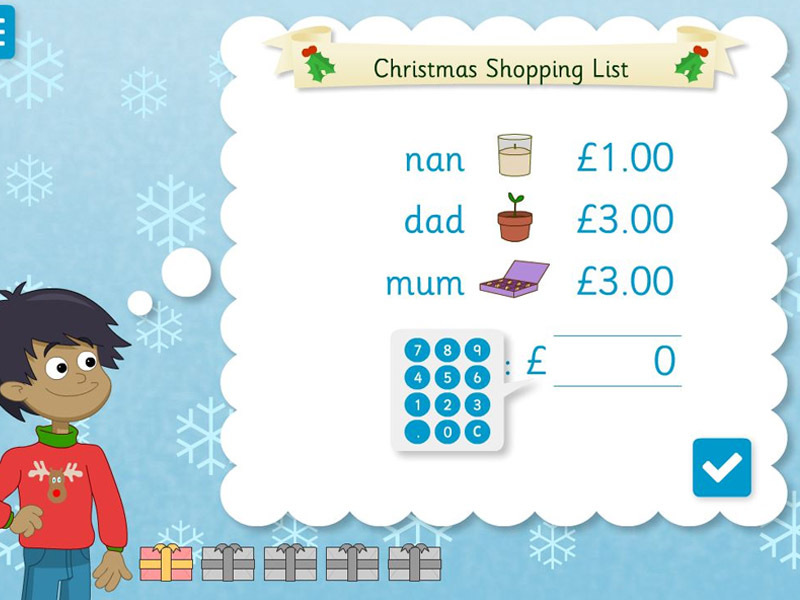 As the festive season approaches, what better time could there be to capitalise on gift shopping to practise addition, money and decimals? The lead resource is a great totalling activity. The levels, in settings, can make this as simple or as difficult as your pupils need, with a wide range of options in the settings menu from £2 + £4 to £1.25 + £7.63 + £2.34 (so ideal for decimal calculations). The resources, both interactive and printable, are grouped around 3 main problem types: totalling items in a list; choosing the items that stay within, or meet, a budget; and two-step problems – working out change.